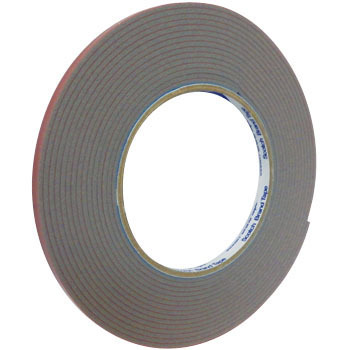 Double-sided adhesive tape for the auto body Adhesive for various automotive interior and exterior components Side molds, emblems, visor, spoiler, etc. I think that it is probably the same as what is attached by the pure. I do not yet know the strength of the adhesion, but I can not easily find one with this size range. Speaking of greed, it will help if there is something a little thicker. This review is about item#7169233. I want a tape color black. There is cushioning and I am satisfied. This review is about item#7169267. It can be installed securely, it will not bimle. I bought it and was right. This review is about item#7169251. I am using it for installing LED with solar battery, which has come to be seen recently. I tried something for the exterior so I kept it for a long time while being cheap, so I am saved. I am using the same type and want black also for the window visor bonding. This review is about item#7169242. I used it for clear door visor. There is no problem at all made by 3M fluffy. I bought 9 mm, but I do not need 2 volumes. . .
As expected it is 3M. Although there is no indication of power etc. in the package, the adhesive strength is firmly fixed. While price of 3M company's price is about half price, performance of adhesion etc. is almost the same as made by 3M company, so I think that COSPA is the best product. Adhesion of the deer removal piece to the bottom of the side mirror, there is no indication that the adhesion will fall off well. The thickness of 2 mm seems good.